What is the new service launched with Tutor Wizard? Tutor Wizard is another value addition for education institute payments via mCash. 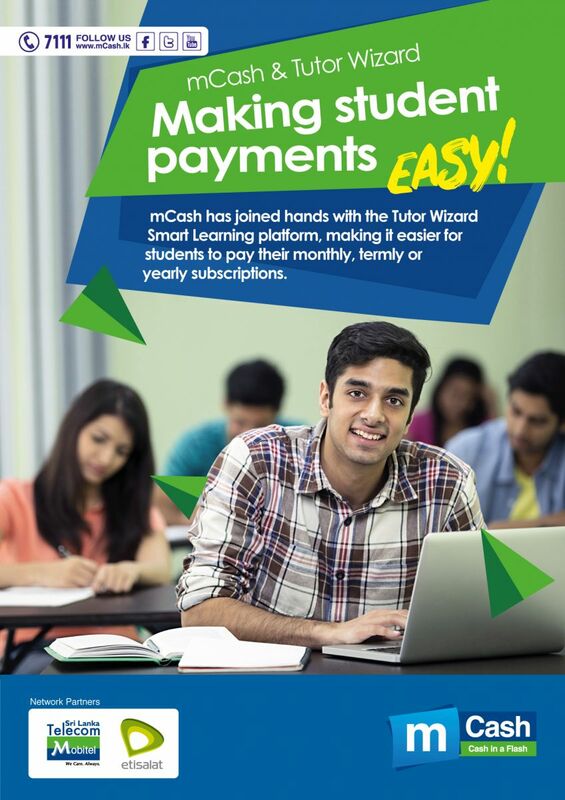 Tutor Wizard students/customers can pay their monthly, termly and yearly subscription payments via mCash. What is the Tutor Wizard? 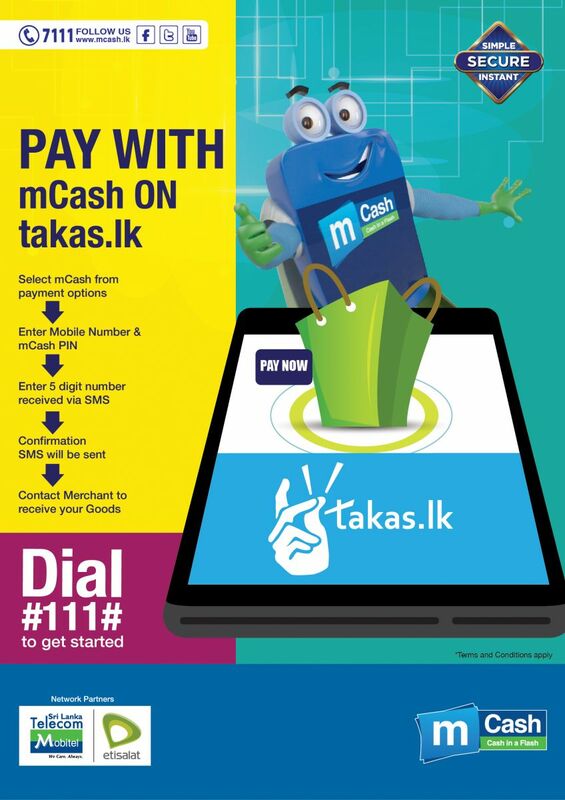 Who are eligible to do transactions via mCash? All Mobitel and Etisalat customers. How can students pay their fees to Tutor Wizard? Below are the steps need to follow for students to pay their Tutor Wizard payments via mCash. 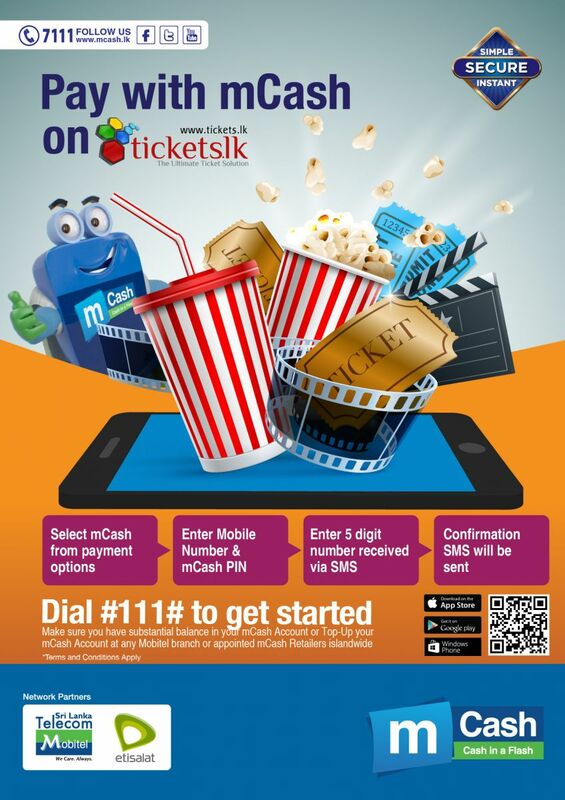 Step 1: Dial #111# and register for mCash. Step 2: Register for mCash using the given instructions. Step 4: Log into your Tutor Wizard student account. Step 5: Select your subject. Step 6: Select mCash as your payment method. Step 7: Enter the phone number in which the student register for mCash. Step 8: Enter PIN number. Step 9: Enter OTP number. You will receive a confirmation message via SMS including the transaction details. What is the maximum Amount I can reload and do the transactions per day? How do I register for mCash to do the payment? 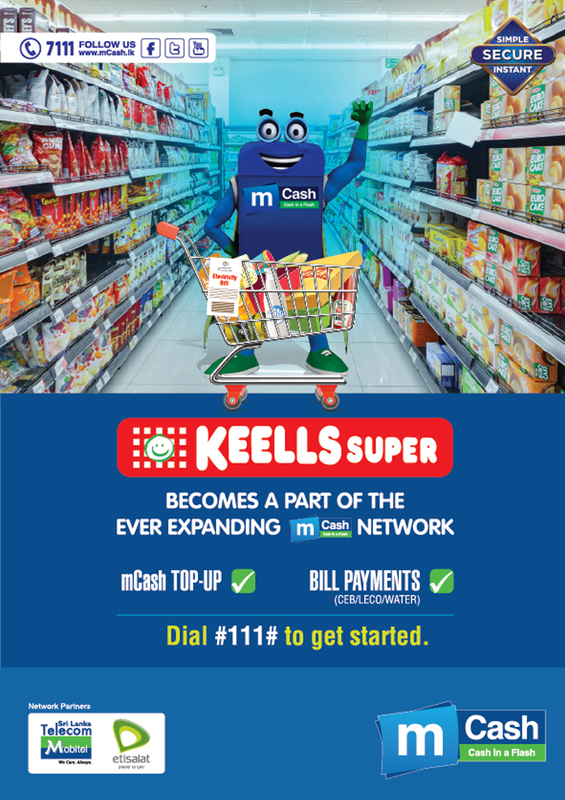 Simply dial #111# and follow the steps to register for mCash. Registering for mCash is absolutely free. Will customers be charged extra for this service? There will not be any service charges for this payment. 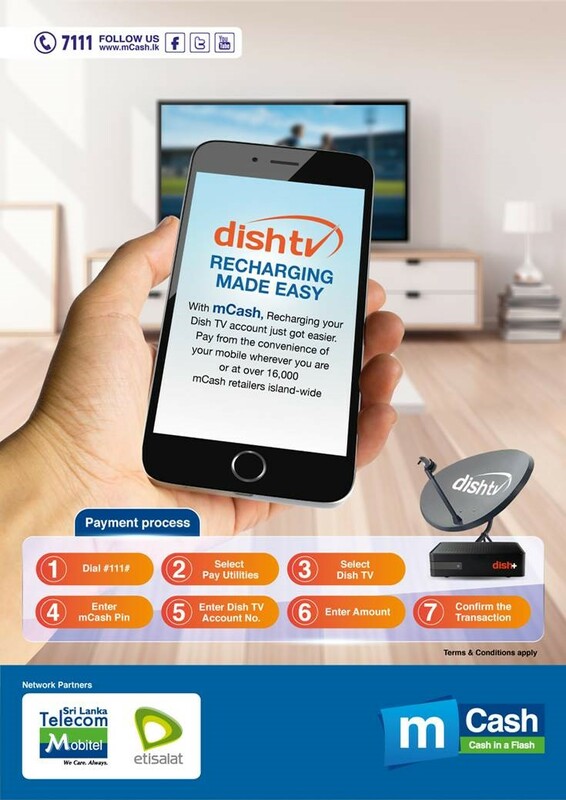 How do customers increase the mCash balance in the mCash Account? 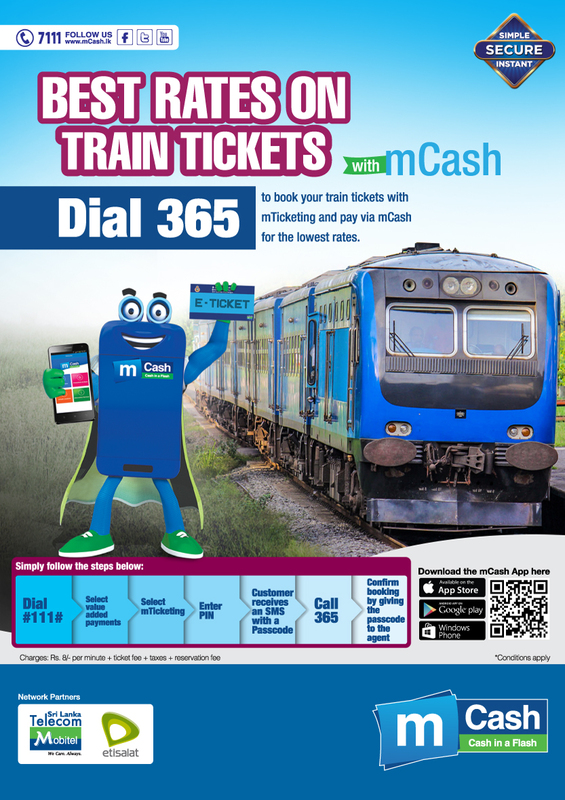 You could simply walk in to any Mobitel Branch / SLT / Singer mega / Abans and top up your mCash Account or use our any of our mobile banking facilities. How will the customer know if the transaction is successful? After the transaction is successful the customer will receive a SMS confirmation. Transaction is falling, why is that? Customer should have sufficient balance (Dial #111# & Select My Account (Option 9) or Dial #111#9# & select ‘Check Account Balance’ function under the Customer wallet). Customer should have mCash in his/her wallet and NOT a pre-paid reload. Customer should enter his/her correct PIN. If Customer forgot his/her PIN, Customer can visit the nearest Mobitel Branch or Customer can send a written request (Scanned Letter with the signature) via e-mail info@mobitel.lk - or Fax - 0112330396. Maximum Transaction Limit per day for a Basic Account Holder Is Rs. 10,000 and for an Enhanced Account its Rs. 25,000 has been exceeded. What should be done if the transaction is continuing to fail despite the above reasons? If the payment continues to fail call the Tutor Wizard hotline on 0112 577 587 and Mr. Riswan on 0716634381 for more information. What is the new service launched? 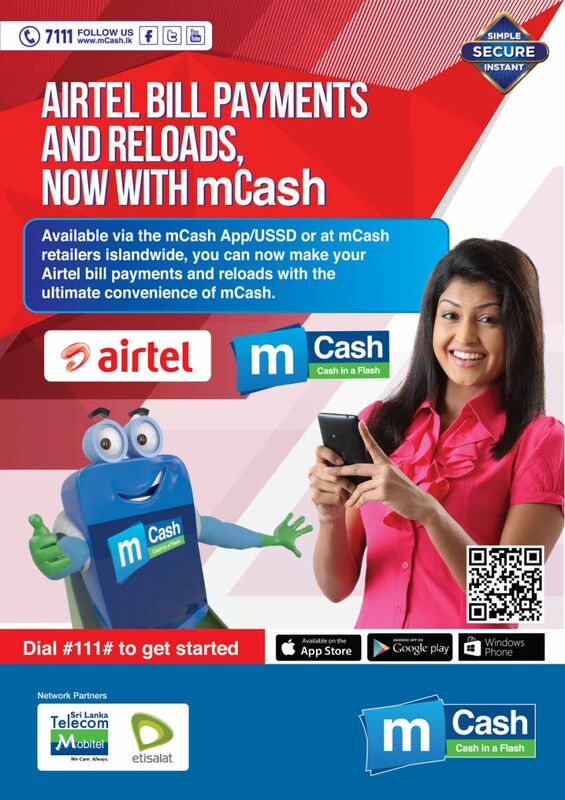 Customers can conveniently do their Airtel Reloads & Bill payments with mCash service. Can Customer pay for the Data connections as well? Customers can pay both the Voice & data connections via mCash. How long will it take to update my payment? The payment will get updated real time & customer will get a SMS confirmation. Do I have to pay extra service charges when doing my payment via mCash? No there is no additional charge. Does Airtel give me a separate receipt for mCash transactions? No, but the SMS confirmation will be sent form Airtel & payment information will be mentioned on Post paid bills. What are the transaction limits for Airtel payment? From a Basic Account Rs. 10,000 & from an Enhanced Account Rs. 25,000. There is no restriction for the transactions done at touch points. Can I do my payments on weekends / Poya days / Public Holidays? If an erroneous transaction happens, do I Call Airtel Hotline or Mobitel hotline? 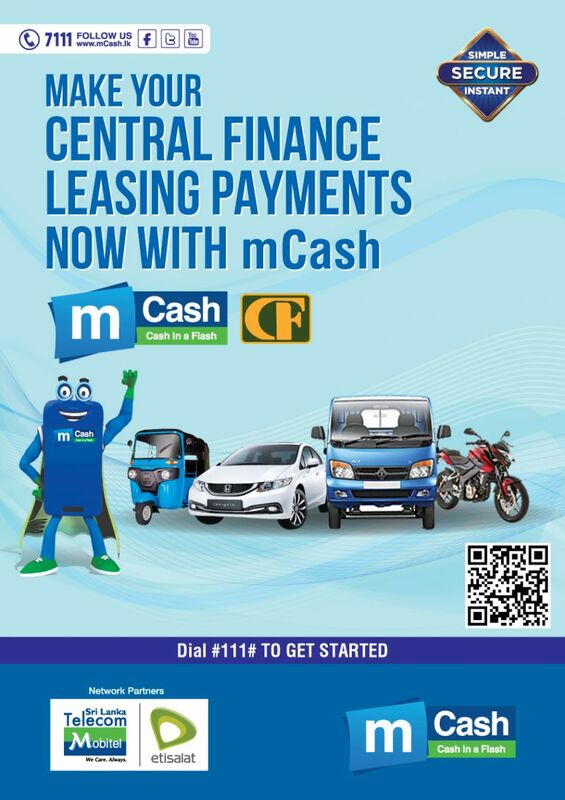 Customers can conveniently pay their Central Finance Leasing payments with mCash service. Does the Customer need to be a Mobitel customer to perform a Central Finance Leasing Payment? If the customer is performing the transaction from customer mCash wallet, customer need to be a Mobitel customer or Etisalat Customer. If not transaction can be performed at any of mCash touch point. Do I have to pay extra service charges when paying my Central Finance Leasing payment via mCash? Does Central Finance give me a separate receipt for mCash transactions? Are the transaction limits for Central Finance Leasing Insurance payment? Can I do my Insurance payments on weekends / Poya days / Public Holidays? If an erroneous transaction happens, do I Call Central Finance Hotline or Mobitel hotline? 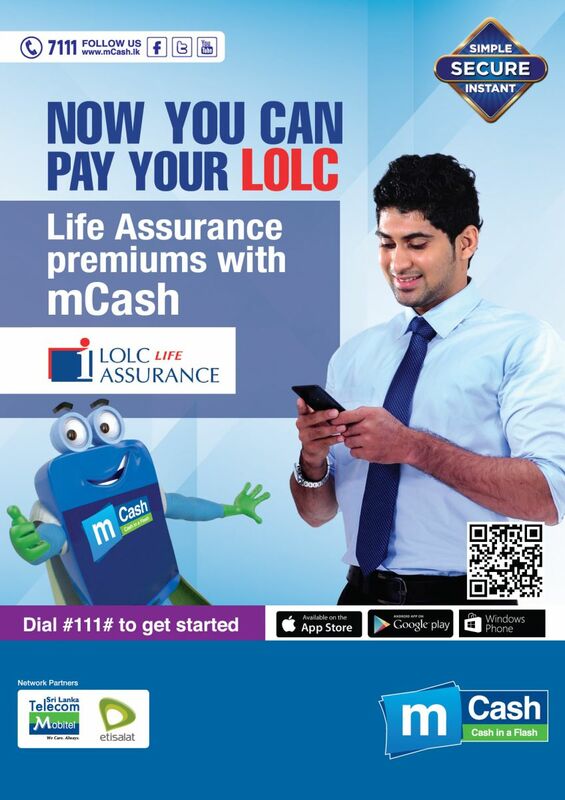 Customers can conveniently pay their Union Assurance General Insurance payments with mCash service. Does the Customer need to be a Mobitel customer to perform a union Assurance General Insurance Payment? Do I have to pay extra service charges when paying my Union Assurance General Insurance payment via mCash? Does Union Assurance give me a separate receipt for mCash transactions? Are the transaction limits for Union Assurance General Insurance payment? 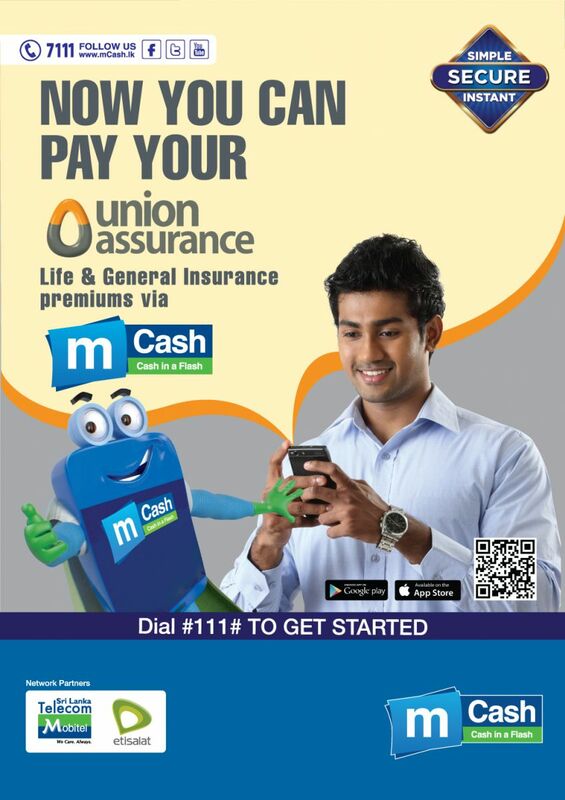 If an erroneous transaction happens, do I Union Assurance General Hotline or Mobitel hotline? 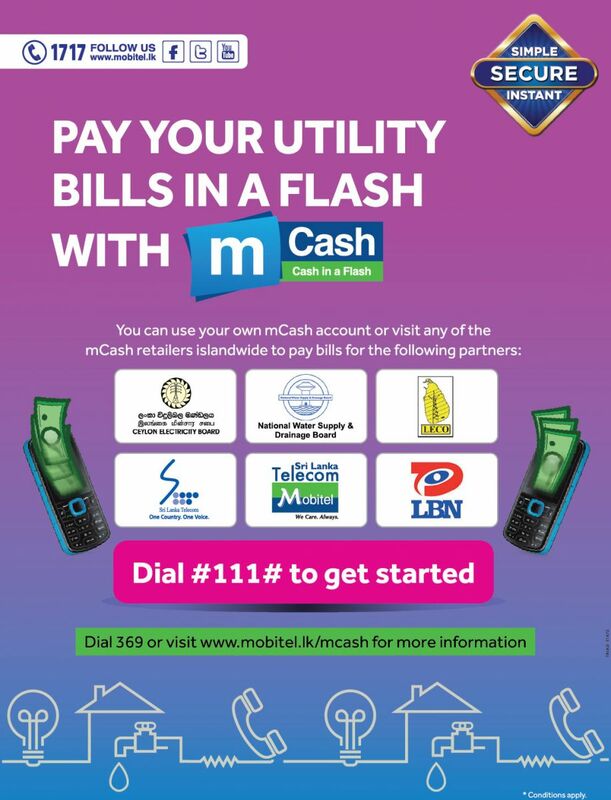 What are the Utility Companies the customer can pay bills with mCash to? How to do a transaction? Does the customer need to be a mCash registered customer to pay a Utility Bill through mCash? What is the minimum transaction limit for a basic mCash account user per transaction? What is the maximum transaction limit for a basic mCash account user per transaction & per day? What is the minimum transaction limit for an Enhanced mCash account user per transaction? What is the maximum transaction limit for an enhanced mCash account user per transaction & per day? 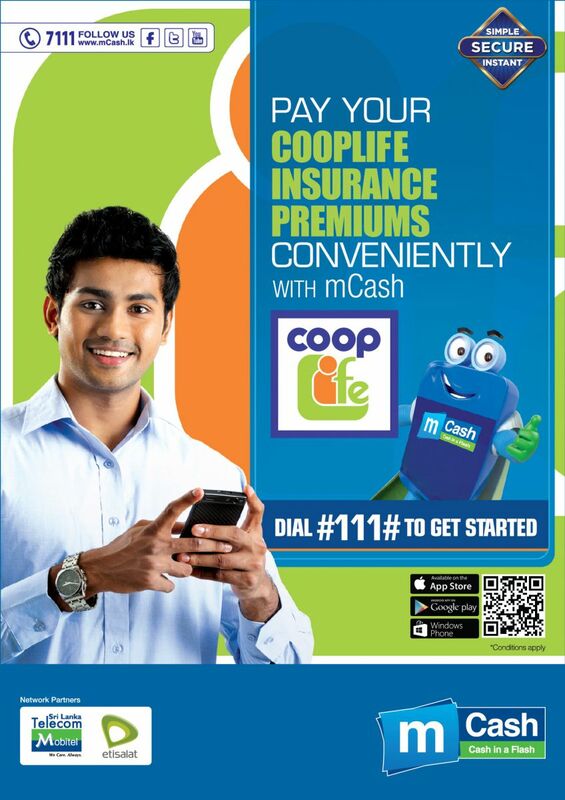 How to Top-up your mCash account (Cash-In) ? Transaction is failing, why is that? 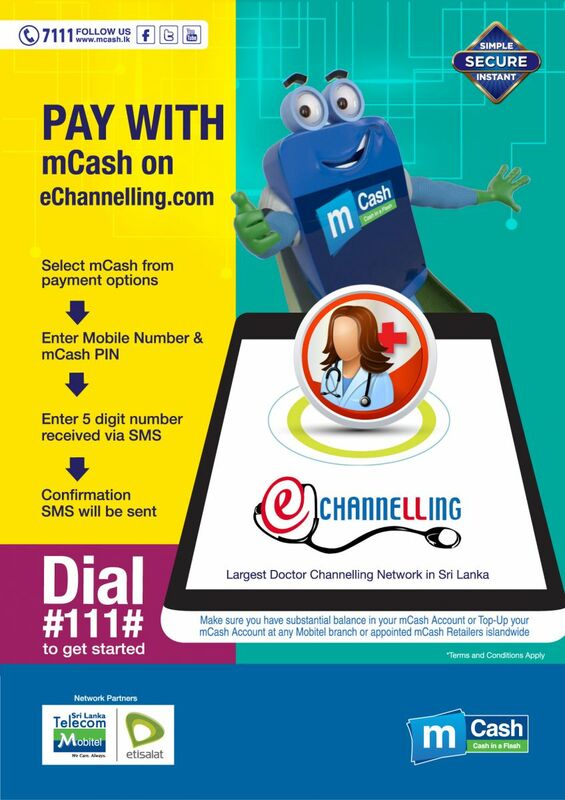 What is meant by Online Payment through mCash? 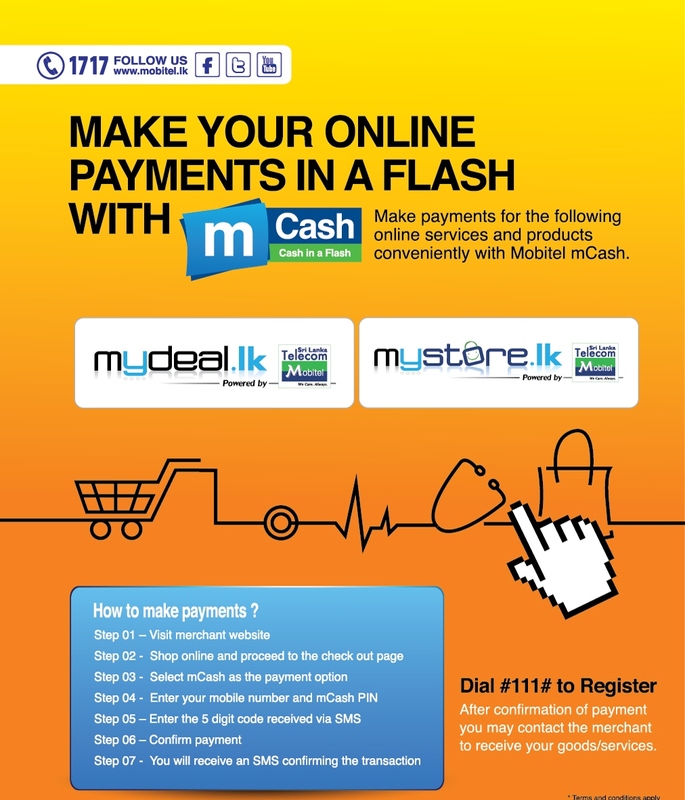 You can now shop online to purchase various goods and services from Online Merchants and pay using mCash. How to increase mCash balance in the mCash Account? 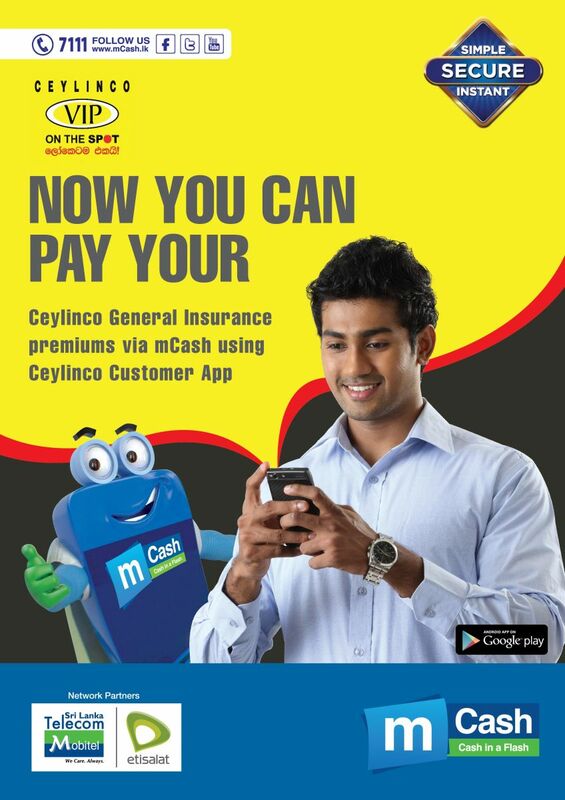 You could simply walk in to any mCash Retail Point or Mobitel Branch / Singer Mega / SLT to Top Up your mCash Account. Or you could ask a friend and family member to P2P Transfer some money to you. How do I make an Online payment using mCash? 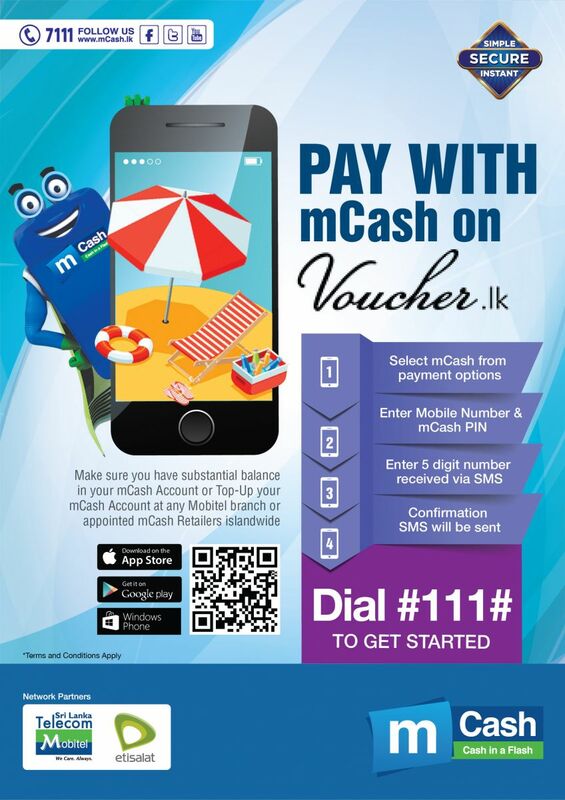 You need to have mCash in your Mobile, so Top Up at any mCash Retail Point / Mobitel Branch / Singer Mega / SLT. Thereafter you could contact the Merchant on their hotline with regard to receiving your goods/services. Customer should enter the correct PIN on the IPG login page and then correctly enter the OTP (5 digit code) received via SMS to his/her phone. Maximum Transaction Limit per day for a Basic Account holder Is Rs 10,000 and for an Enhanced Account its Rs 25,000.